Hey I am DJ SIS, born 28-11-1978 in Leiden as Jessica Helfensteyn. In our family music was the key, I’m from a very musical family, my granddad and his brothers were all playing in a band. My dad is a drummer and always played in a band as well. He had his drum kit setup in our house, therefore I always joined my dad when he was playing. Music is in our genes. The passion for music always remained, from recording tunes from the charts on cassette to mixing on the decks nowadays. I’ve been wondering around with the idea to pick-up this passion again. 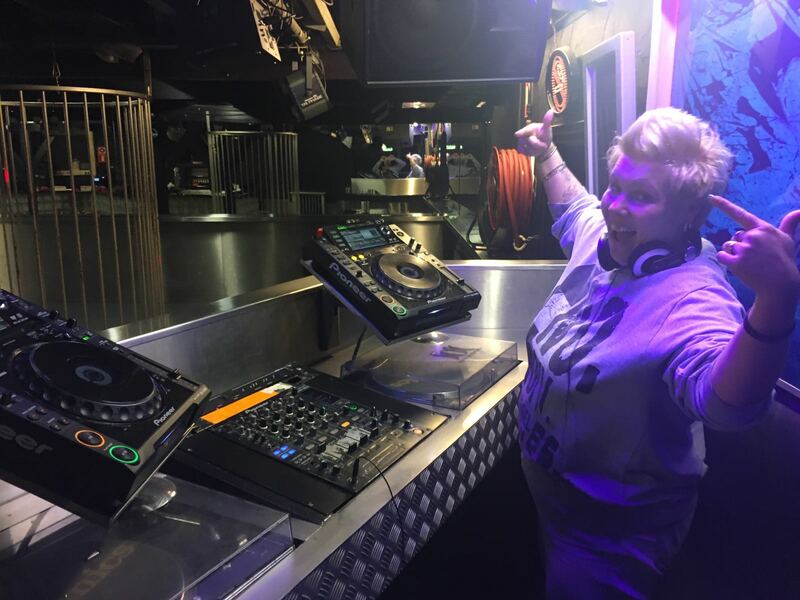 When I was behind the bar with Sebastiaan (DJ SEB) at the club we both work, we started talking about the passion for music and we discovered that we both shared the same passion. We decided to follow a DJ workshop to get more familiar with the modern equipment, and practiced for hours and hours, and became better and better. Totally unexpected we needed to close of a new year’s party in Club Organza, we went absolutely crazy and raised the roof. This made us decide to continue as DJ SIS & SEB.